The holy grail of gardening. As the summer gardening season fades away, I’ve got a bone to pick with myself for the choices I made earlier in the spring. Better planning and conscientiousness could have saved me a LOT of trouble and emotional energy (yes, we gardeners get worked up about green thumb things). So, in no particular order: The Thursday 13 things I need to remember next planting season when I’m all optimistic and excited for a bumper crop harvest and not thinking straight. 1. Get your watering plan in order. 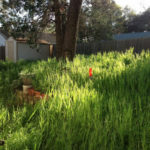 Now I have the California drought water restrictions to partially blame for inconsistent watering midway through the season, but before that? I still had hit or miss watering here and there. Turns out veggies do not like that one bit. Evenly moist is what they all need. Had I, I don’t know, fixed the drip irrigation I broke last year, I could have prevented uneven watering and saved myself from a lot of dead plants. Hrm. 2. 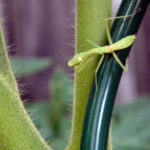 Stop crowding the tomatoes! Tomato mania is completely understandable, but it doesn’t excuse 21 pots crammed into a space where 15 could comfortably live. Those bugs and mildew problems? Likely due to poor ventilation.You’ll get way more tomatoes from fewer healthier plants. 3. Growing tomatoes in partial shade is a fool’s errand. You know it. You know it. So stop trying to do it already! stinkin’ trees stealing all the water and resources. 4. If you see an acorn, pick it up. And maybe there won’t be oak trees growing inside your raised beds next year. 5. Nip pest problems in the bud early. They won’t just go away, until they’ve eaten everything, of course. And for heaven’s sake, find some way to deal with those caterpillars that descend from the oak trees already. 6. Mulch everywhere. Everywhere. It saves water, looks pretty, and helps tamp down weeds. 7. Sometimes it really is too late to start seeds. Case in point: Those pole green beans that didn’t start flowering until October. Umm, no. There’s a planting calendar for a reason! 8. Easy on the tomato pruning. Now on the one hand, you don’t want to have bushy green plants with no fruit, and pruning helps channel the plant’s energy into the right places (see THIS post on pruning). However, all that sun scald you dealt with was exacerbated by vicious pruning. Ease up! 9. Magical thinking doesn’t make azaleas come back to life. Dead is dead, Shawna. right. A single, stunted cucumber. 11. Maybe you just aren’t meant to grow beets. For the last several seasons, including this winter, you’ve tried to grow beets, without one single success. Rows and rows of beets that start out just find but either A. Shrivel and die; B. 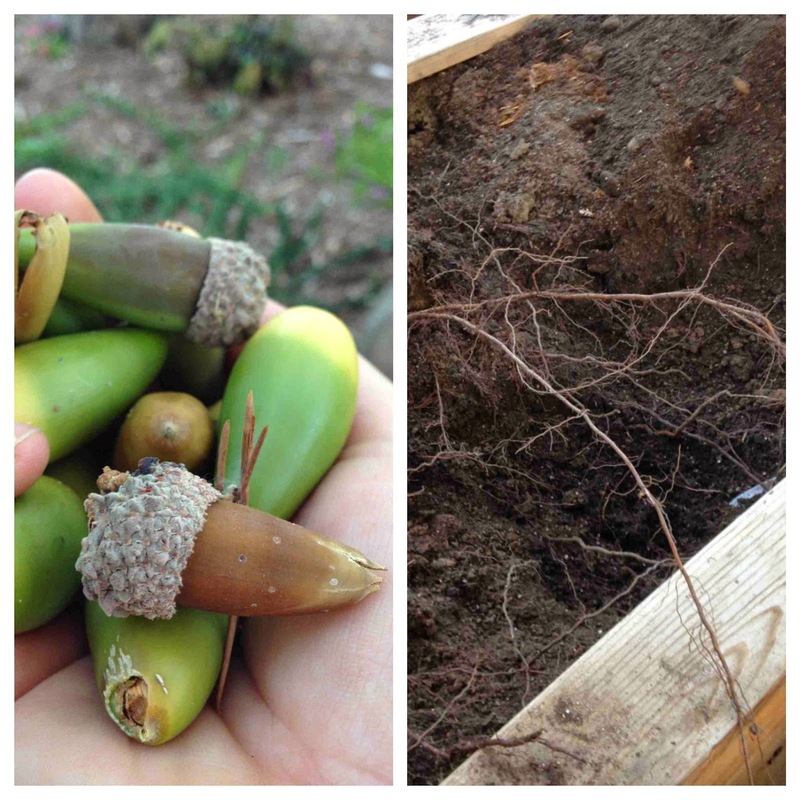 Make bulbs the size of peas; or C. Get mowed down by pests. How about your stop wasting seed, Shawna? 12. Always bird proof and squirrel proof. Those dug up plants and holes scratched all over the yard? They’re courtesy of birds hunting grubs and squirrels stupidly burying those acorns you forgot to pick up. Protect the plants you care about! 13. Weeding is not optional. No matter how much you want it to be. And it’s a TON easier when the roots are wee, so stop ignoring it. Any gardening tips you’d tell your spring gardener self? 2 Responses to "13 things my spring gardener self needs to know"
Oh no! 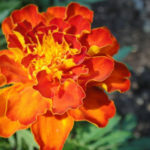 I'll have to try marigolds next year, too.